I got so excited when I found these the other day at Whole Foods! 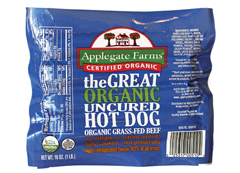 Grass-Fed Beef Hot Dogs by Applegate Farms! And they were only $4.99! And they are really really good! I cannot recall exactly but I think these actually cost a little bit less than the Nathan’s Famous (now gluten-free) hot dogs that I bought back in December. 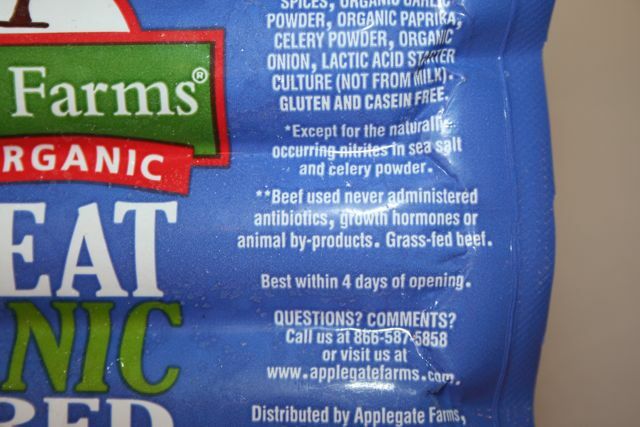 Organic and grass-fed beef for LESS than the cost of a mainstream supermarket package of hot dogs, with all the extra “stuff” in them! 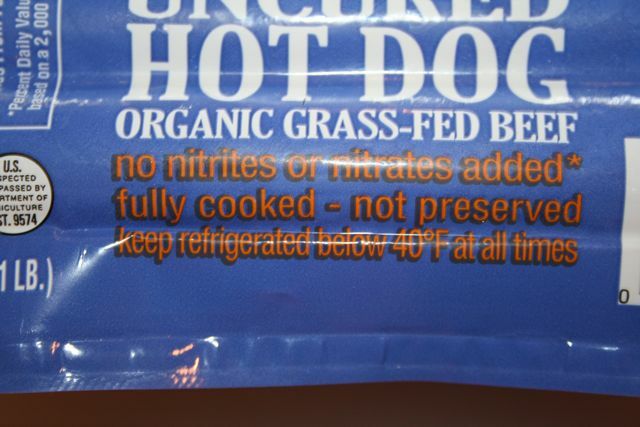 Applegate Farms does not add any Nitrates or Nitrites to their hot dogs and deli meat products, in case you are sensitive like my mom is (I never knew what they were exactly until the moment of this post!). 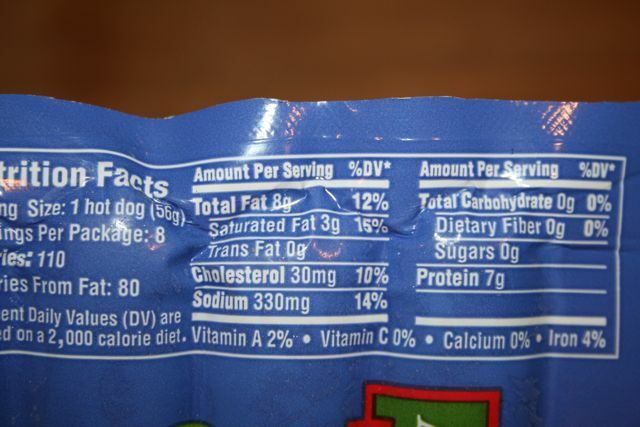 Only 8 grams of fat, (Nathan’s Famous Beef Franks have 15 grams of fat). And they are Gluten and Casein Free! How did the hot dogs taste? 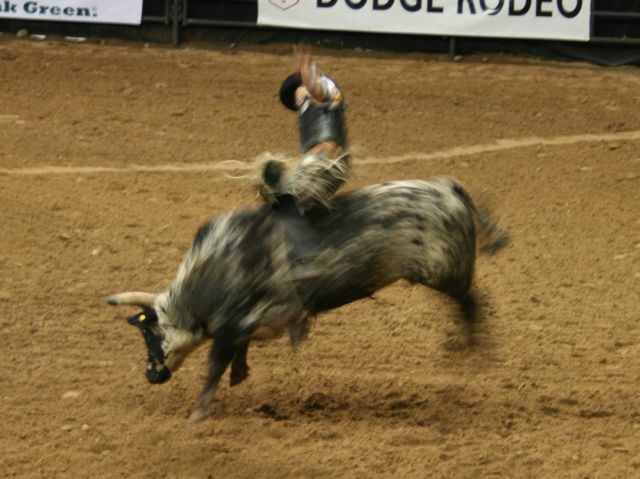 I think hot dogs must have been a good meal for the same evening as a rodeo!